Supported by the international civil society movement #LIBERATECRIMEA and the Crimean Tatar Resource Center. These wounds have not healed yet. Only five years have passed... Five years have already passed! Five years of occupation of Crimea by the Russian Federation. On February 20, 2014, Russia started its special military operation and seized the Crimean peninsula. 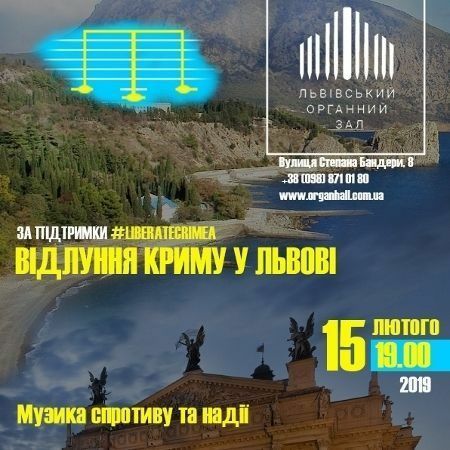 "Echo of Crimea in Lviv" is a performance dedicated to the 5th anniversary of resistance to the illegal occupation of Crimean peninsula by the Russian Federation. 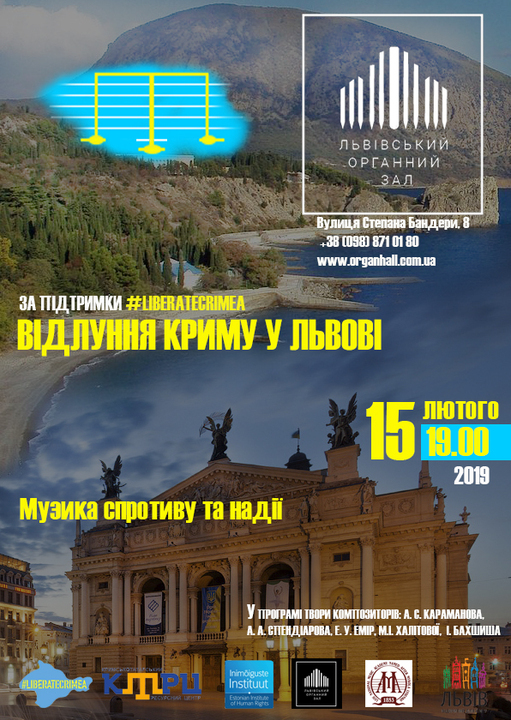 Students of Lviv Music Academy will play compositions of Crimean composers, as well as those inspired by the special culture of the peninsula. A. Karamanov - Two romances from the cycle "To you", lyrics by A. Sampurova - "Return to me", "Ave Maria"